Retaining employees is a top management concern because of a tight job market for certain skilled positions and the ever present cost of employee turnover. When you have the right employees, you want to keep them. Employee recognition and appreciation goes a long way to keeping employees happy, but you might not know that it also strengthens employer brand, helps meet company goals, and attracts new candidates. Employee recognition is exactly what it sounds like: acknowledging great work and communicating your value for your employees. An employee recognition program puts the power of your organization and even technology into the hands of your employees. While informal recognition is valuable, a program can accomplish even more. Being good to employees is a no brainer. When employees feel valued and supported, their loyalty and performance improve. Employee recognition improves workplace morale, and creates a supportive work environment. SHRM and Globoforce’s 2016 HR trends survey showed just how important employee recognition programs can be. 81% of organizations had a program, and 60% tied the program to the company’s core values. The biggest takeaway from this survey was that a value-based recognition program, when paired with a budget of 1% or more of payroll, saw greater positive effects across the board. Why does linking company values to appreciation make such a big difference? When you reward your employees for embodying company values, it shows that you are committed to those values, and makes them part of the company culture. This can increase trust and harmony in the workplace culture. What makes a successful recognition program? 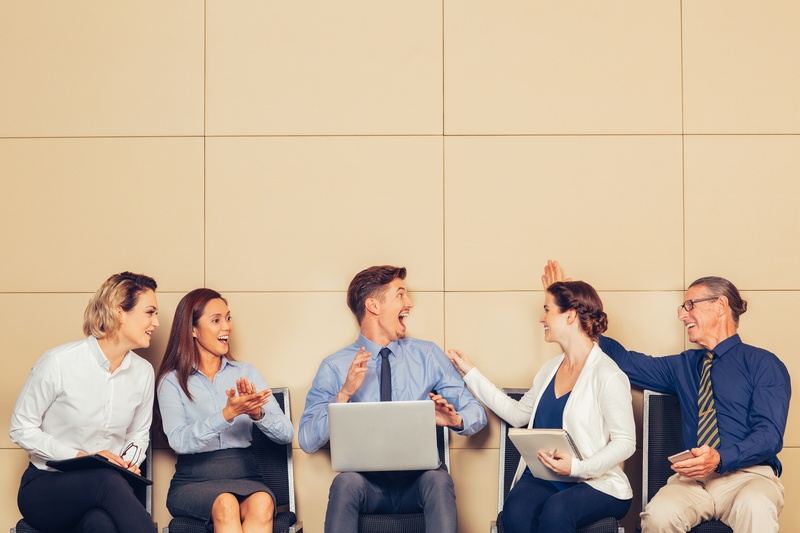 The best employee recognition programs make it easy for everyone to uplift each other, and acknowledges that people want to be appreciated in different ways. An employee of the month certificate may mean a lot to one employee, but fall flat for another. Appreciation is individual, because it’s about valuing the individual. Appreciation doesn’t just need to come from management. You can carve out time for employees to appreciate each other, such as making shout-outs part of a weekly meeting, or have a place where they can make note of great performance. Building recognition into the routine will prompt employees to appreciate each other far more than they would organically. That communication is also valuable information for management — it’s important to know what’s working well and have a culture of constructive feedback. Software like Bonusly and YouEarnedIt allows employees to recognize each other, and delivers rewards. With Bonusly, each employee has a weekly allowance of points to give to others for stand-out work. Then employees redeem their “points” for rewards from an impressive catalogue, including top brands and charity donations. Everyone sees the appreciation posts which contributes to a positive and harmonious work environment. Consider public recognition for exceptional work, such as certificates, framing achievements in the workplace, or featuring employees on social media. Make philanthropic donations to charities your employees chose. Create random acts of fun for everyone in the workplace. Have a Good Deed Book where people write down their appreciations, and read them aloud at weekly meetings. Recognize employees’ talents outside of work. Survey your team to learn how they want to be appreciated. Use gamification such as points, badges, or gamey recognition software. Appreciation comes in many different shapes and sizes. For larger companies, software can be extremely helpful to manage appreciation for many employees. At the end of the day, whatever tools you use to implement your appreciation program should make your employees feel earnestly valued.